We have been featured in the Langley Times multiple times! A free food bag program for students-in-need at three Langley schools has lost its main sponsor and the student leaders who created the program are scrambling to replace it. The “Weekend fuelbag” program provides a bag of food each Friday to 16 middle and high school students at R.E. Mountain Secondary, Walnut Grove Secondary and Yorkson Creek Middle School. Each bag has two breakfasts, two lunches, drinks and snacks to tide the students over the weekend and are picked up confidentially at the school, usually in the guidance counsellor’s office. Each Monday the students in the program return their empty reusable bags and on Friday come back for a full one. 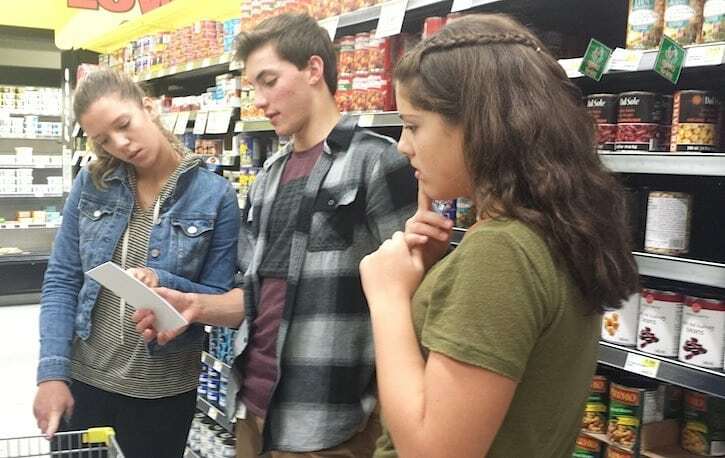 “We started the program back in the summer, knocking on Langley business doors to ask for donations,” said Katrina Schulz, one of the student co-founders of Weekend Fuelbag and a Grade 12 student at R.E. Mountain Secondary School. Several businesses, including Lee’s Market in Fort Langley, Costco, Safeway, and Cobb’s have made one-time donations, but the key sponsor was Buy-Low Foods in Walnut Grove. “They (Buy-Low) provided us with gift cards to shop in their store and said to come back when we run out” said Brady Lumsden, another co-founder of the program and a Grade 10 student at Walnut Grove Secondary School. But the Buy-Low store is preparing to close. “They just can’t do it anymore,” said Emma Schulz, the third co-founder of the program and a Grade 8 student at Yorkson Middle School. The students are making an appeal to the community for assistance. If anyone would like to donate, the three schools will take grocery store gift card donations at the office for “Weekend Fuelbag”. Weekend Fuelbag can also be reached directly on Twitter and Facebook (@weekendfuelbag) or email weekendfuelbag@shaw.ca and donations of non-perishable food or giftcards can be picked up directly.